ArduGraph is open-source easy to use serial graph monitor for Arduino. 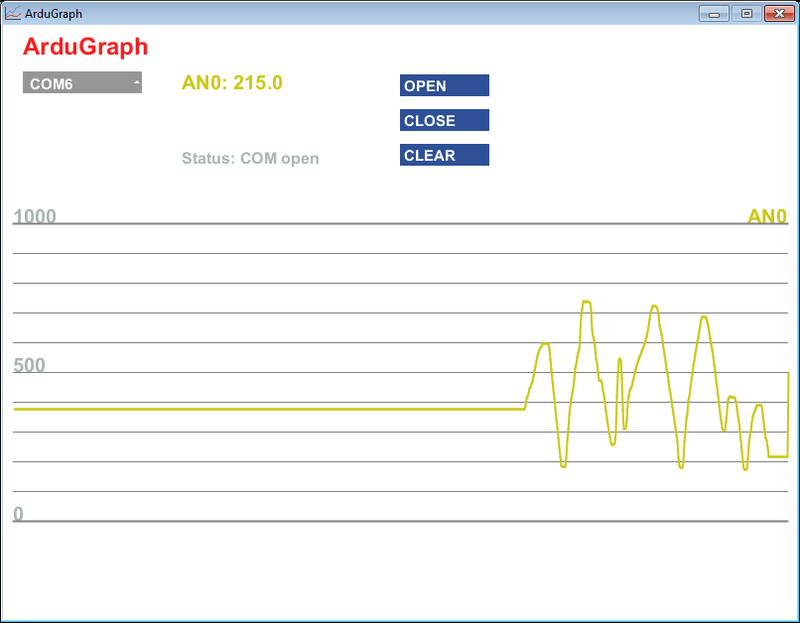 ArduGraph is a simple PC software, created with Processing, can plot data received from the serial port. It is perfect for projects where you need to display different data variables over time varying analog signals or sensor measure. 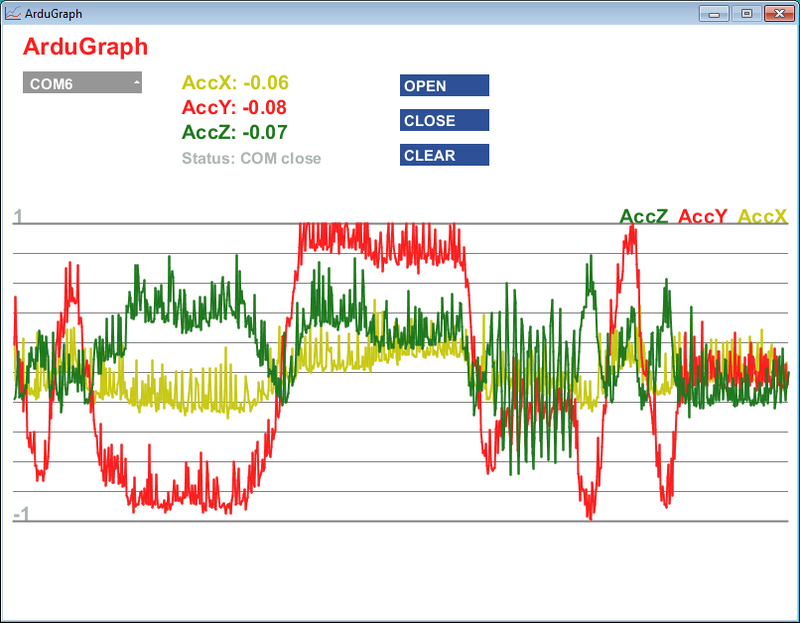 ArduGraph is easy to configure, only you need to specify the minimum and maximum to plot data and the label of the trace. The string to be send contains a value of minimum scale to plot (positive or negative), a value of maximum scale to plot (positive o negative) and three label of trace to plot; each value is separated by a comma. The parameters are easy to set with one line of Arduino code. ArduGraph draws one, two or three tracks automatically depending on how many data arrive. The number off trace depending from number of data are transimit, and time to plot dependig from velocity are transmit the data. Every time it receives a given this is plotted, faster data arrives faster evolve graph. 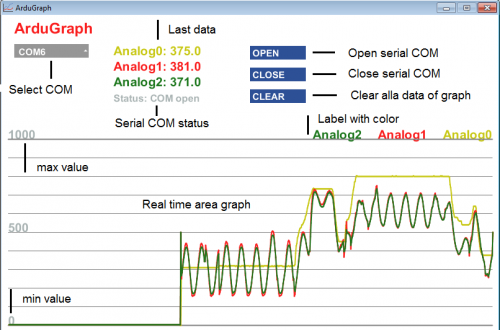 The data to be sent are semply a string in the same way of Serial Monitor of Arduino. 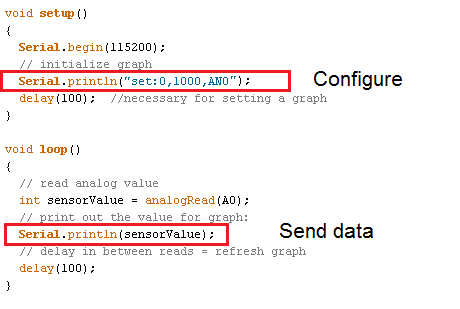 Simple to use to display the data reads by a sensors. When using ArduGraph simultaneously with Arduino can close COM to program Arduino and then reopen it; only one istance of COM can open. 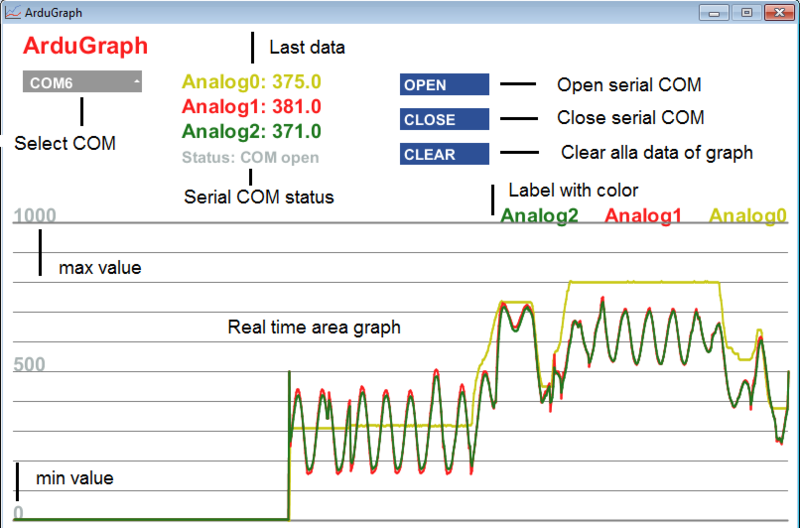 When ArduGraph start, the Arduino board is reset and receive the set of command for setting the graph and it is ready to plot. 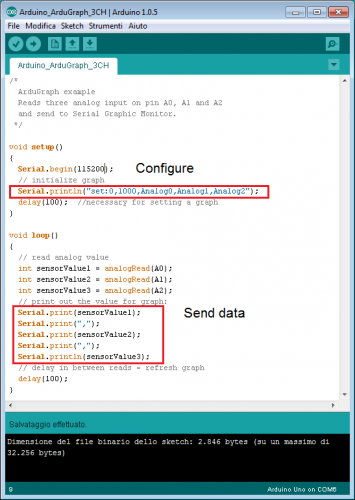 ArduGraph is written with Processing2 and you can create an executable file (for Windows, Linux and Mac platforms) simply by using the Export Application functionality of the File menu.